Selina has been coming to The Door is Open for over ten years. 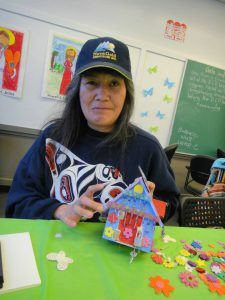 She enjoys the arts and crafts program to which she brings her own distinctive style influenced by her Nisga’a heritage. She has a great love of writing and has written many poems. A number of her poems have been bound into a series of three books for her personal library and she hopes to be able to publish some of her poetry in the future to share her creativity with others. 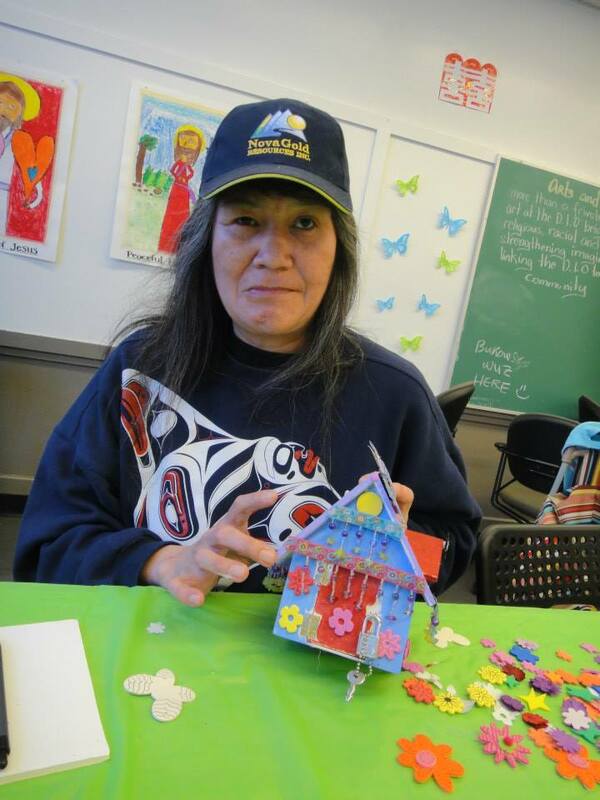 She appreciates the safe environment offered by The Door is Open, and has shared many of her poems with us. This is one of her favourites. Creator, let us start to paste it.